Island hunting can begin by monitoring 14.260 and, if open, 21.260, 28.460 SSB and 40 khz above the band edge for cw activity. Sooner or later, most island activators show up on 14.260 Mhz whether it is for IOTA or the many other island awards. If this specific frequency is busy, they will then QSY up or down a few khz and put out their particular island. Many operate split frequency usually up a few kcs. Most DX bulletins are now providing extensive information about upcoming island expeditions and occasionally there is information on island residents. The 425 DX News has excellent coverage of proposed operations and The DX Summit Webcluster will give you real time spots of DX, Island and Lighthouse activity. The IOTA Expedition Calendar provides an up to date listing of known island expeditions. New island activations can also be found on the IOTA website. You have probably worked and confirmed many islands valid for island awards. Some of these islands have lighthouses, castles, forts and other interesting structures and history which is always of interest and may be useful for awards. Be sure to go through all your old QSLs and if really serious, your log books. Most new island hunters find they have worked and confirmed a number of Islands. If you want to activate an island, jump in your mobile and head for the beach and a valid island, rent a boat but don’t swim since it has to be at least 200 meters from mainland. Valid islands are listed in the IOTA Directory and listed on the IOTA website. 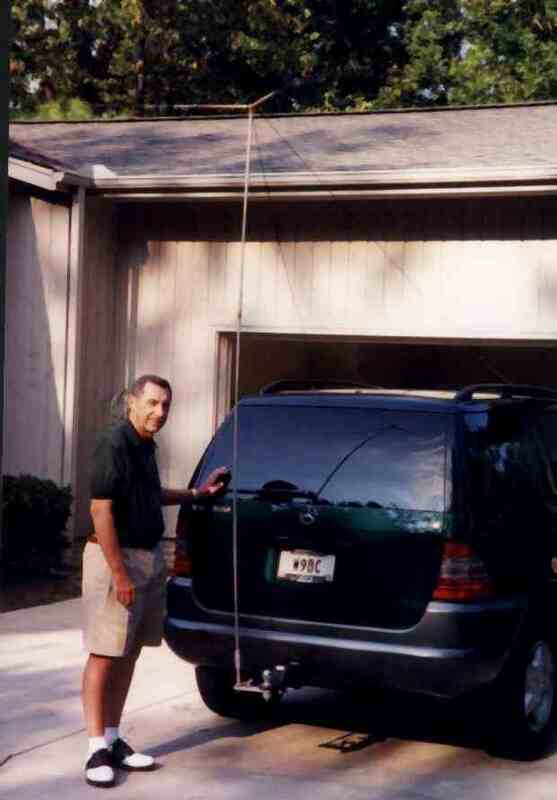 The photo shows the W9DC mobile. Of course, you can operate from lighthouses but the challenge to get to a lighthouse on an island without a bridge creates a new and challenging adventure. A QSL COMPLETES A QSO: Expeditions have become expensive adventures supported by the operators and donations from vendors, clubs and individuals. QSLing is an expensive and time consuming final event that provides the hunter with a confirmation of a desired QSO. The QSL should have the Call and details related to the specific QTH and operation (Country, zone, grid square, Lat.& long., lighthouse, park, castle, etc.) imprinted on the card or sticker used to indicate the QSO information. For valid island operations and for approval for awards, the name of the island is required to identify the island group and should be printed (not handwritten) to conform to IOTA rules. It is always exciting to receive a needed QSL that documents your contact and be able to display it for others to see. The expedition has the option of assigning team members to do the QSL chores or appoint a QSL manager to accept, verify, fill out and return cards. Search the callsign at QRZ.com for good information on QSL practices. The use of OQRS and Clublog may help to expedite a QSL without the need to spend funds sending a card. It may take time to turn cards around so please be patient. To help cover expenses, those wishing to send and receive a card direct should send a self addressed envelope and sufficient funds to cover postage. Any extra donation is appreciated. Those who do not require the card in timely fashion or find it too expensive to send a card direct should be able to send the card to the recommended bureau and expect a card in return. A recent trend is for the expedition to accept e-mail requests for cards which are then returned via the proper bureaus. Under any circumstance, it is not in the spirit of ham radio for the expedition to demand or insist on more than the cost of postage. For further QSL Manager rules and Ham radio QSL etiquette, review the IARU Region I Handbook’s QSL Code of Practice. It can be found under the Programme Information section of the of the IOTA website. The ARRL’s new program, Logbook of the World (LOTW) is being used by many hams and if you participate, it identifies valid QSOs that may count for DXCC. IOTA now has an agreement with Clublog to develop a paperless QSL confirmation program that allows you to use the system to apply for IOTA awards. These cost saving programs will not provide a QSL or assist in supporting expeditions but will help expedite acquisition of awards. Please review IOTA Checkpoint Information for details on how to get started in the IOTA program. It includes details on making an application on your own personal database at http://iota-world.org and how to get your island cards approved by your local Checkpoint. That page will also tell you how to obtain the latest IOTA Directory (17th edition) although you can find much of that information at the IOTA website. Good luck on finding and working those islands and above all, “have fun”.